this is my first attempt in plating and loving it! wandering on Pinterest, I saw a photo of a Japanese handmade knit and I thought it would be the perfect example to get familiar with plating... so this new summer knit was born, in my favorite color: hues of blues. The construction is very simple, with regular rounded armholes and a deep crew neck. 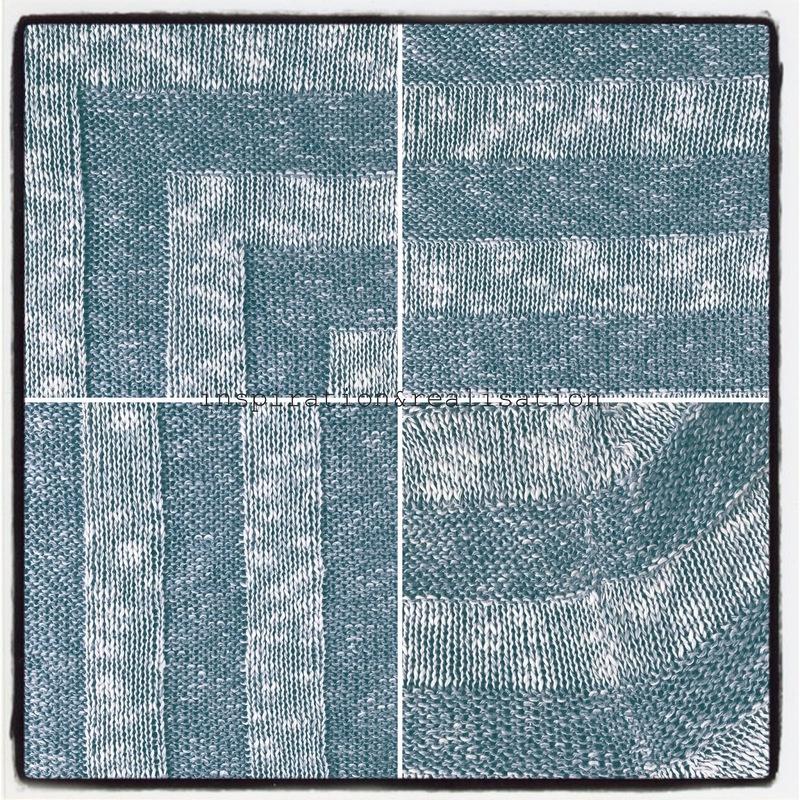 I used a thick&thin 2/20 50-50% linen/cotton in a 8 stitches vertical / 11 rows horizontal pattern sequence. Knitted on a KH930 + KR 850 brother machine, transferring the stitches manually from the main bed to ribber and viceversa, at tension 7 on both carriages (with ribber on I). 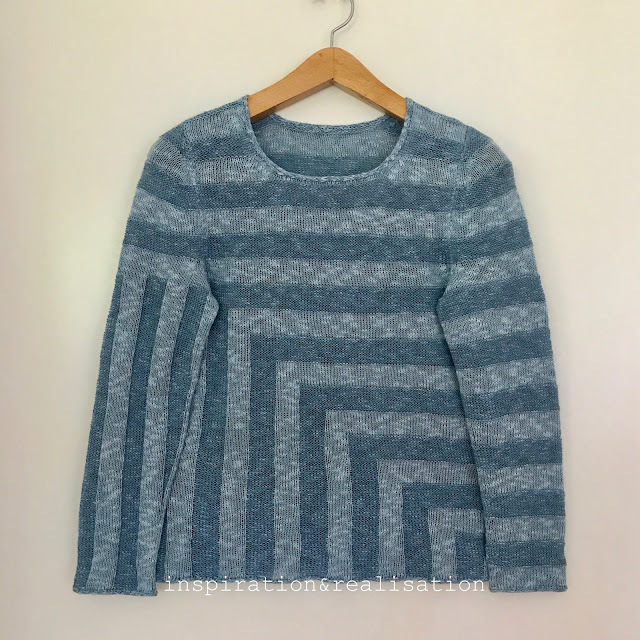 Sleeves are knitted differently, to be able to follow the pattern, top of the sleeves are rounded by decreases at first, then using needles in holding position. This was a fun project to knit. Love how it turned out !